I was lucky enough to grow up in the same three-family house that my mother and grandmother grew up in. Three (and, at times, four) generations of our family could be found living there at once, and no matter how old I get, I know that one of my favorite sounds in the world will always be of my grandmother’s feet pounding on the floor above us when someone she really liked got all tens on Dancing with the Stars. That house was just as much a member of the family as the names listed on our family tree. It held our good times, our not-so-good times, our dreams, our laughs, and our tears. 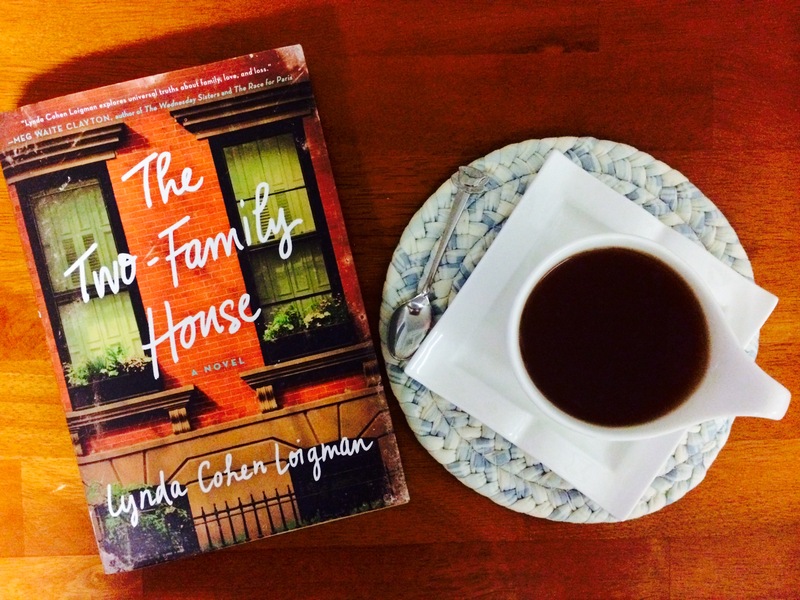 Growing up in a house like that, you quickly learn how a roof, some walls, and some immaculately swept steps can become a character of their own—a notion that’s perfectly embodied in Lynda Cohen Loigman’s beautiful debut novel, The Two-Family House. The Two-Family House tells the story of two brothers, Abe and Mort, who live with their wives, Helen and Rose, and their passel of children in 1940s Brooklyn. Abe and Helen raise their four boys alongside Mort and Rose’s three girls, their two families blending into one with a cousin, a brother, or a sister-in-law always underfoot. During a blizzard in 1947, Helen and Rose find themselves giving birth within minutes of each other, a fateful night that forms fissures in their relationship and the family dynamic as a whole. As the story unfolds, the secrets, yearning, and utter tragedies that strike the family come together to form a tale that is haunting, heartfelt, and achingly beautiful. I absolutely could not put it down. Lynda Cohen Loigman brings this family to life so vividly that from the moment I picked up the novel, I felt like I’d known them forever. I became as invested in their lives and well-being as I would my good friends or neighbors, and with every turn of the page, I desperately found myself pleading for everyone to just be okay. Even when I got angry with them and wanted to shake them for some of their actions, my heart ached for them. I felt the growing pains of the children as they turned into young adults and the parents as they tried to atone for their mistakes. Each character inhabiting the story jumped off of the page, uniquely his or herself, with the brownstone bearing witness to all of their pain and love standing as the backbone of it all. It thrills me that this is Lynda Cohen Loigman’s first novel because I know that there will only be amazing things to come from her. The Two-Family House is so rich with emotion, so perfectly drawn in time and place that you will swear you lived in this house with Mort, Abe and their families. You’ll love them, you’ll cry with them, and long after you finish the last chapter, you’ll have an impossible time forgetting them. I highly recommend this book if you’re seeking a great read that will stay with you, with characters that will become as much a part of you as the house you grew up in. Be sure to connect with Lynda Cohen Loigman on Facebook, Twitter, and at lyndacohenloigman.com. Love this! Can’t wait to read this book!